A state convention on ‘Right to Health’ was held in Gass Memorial Raipur on 23rd March 2018. 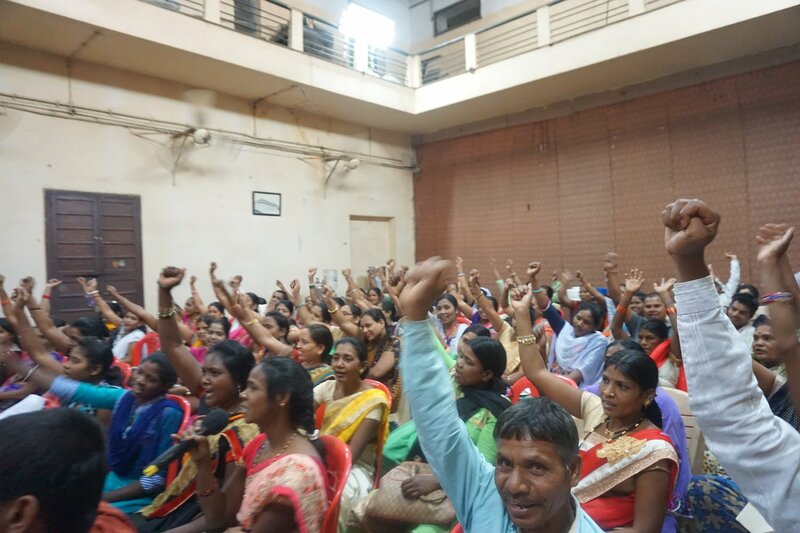 The program was organised under the umbrella of Jan Swasthya Abhiyan (JSA) and saw participation from organisations working on health, Adivasi and Dalit sangathans, research organisations, legal-aid organisations, trade unions, patients’ rights groups and other community based organisations. Nearly 200 health activists, health workers, and Adivasi and Dalit community leaders from all over the state attended and shared their experiences on the problems being faced in using RSBY and MSBY health insurance and discussed concerns over state government’s plans for privatisation of hospitals and health services. The press note of this meeting is available here in English and Hindi. Open letter on Nurses Strike at KVM Hospital, kerala.